The last two days I’ve been spending quite a lot of time dedicated to scouring Denmark to see what I can find in terms of craftsmen and women, be this ceramic, metal, glass, or wood workers so hopefully we can bring a few of these individuals to light here in the next few weeks. 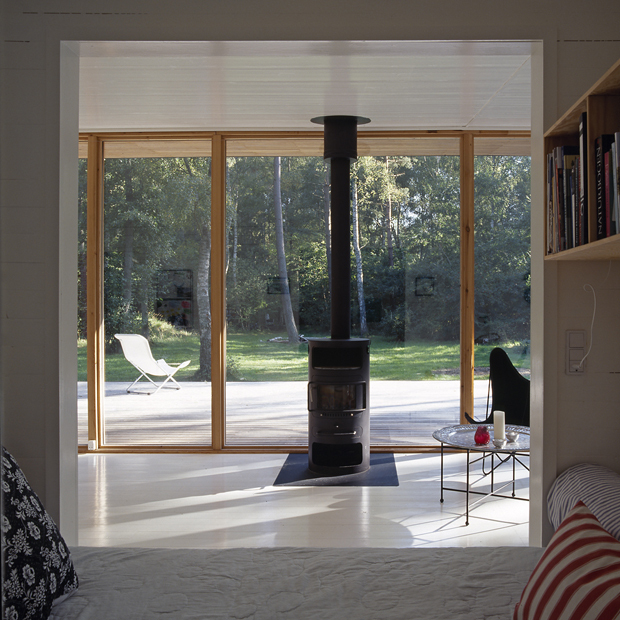 In the meantime whilst I was poking around the various creative networks in Denmark I landed upon this project by chance, a small holiday home that was built in Denmark by Danish architects Christensen & Co. I was really taken by this humble dwelling built by the coast so I contacted the firm to see if I could learn a little more about it, and thankfully they came through to offer further insight. 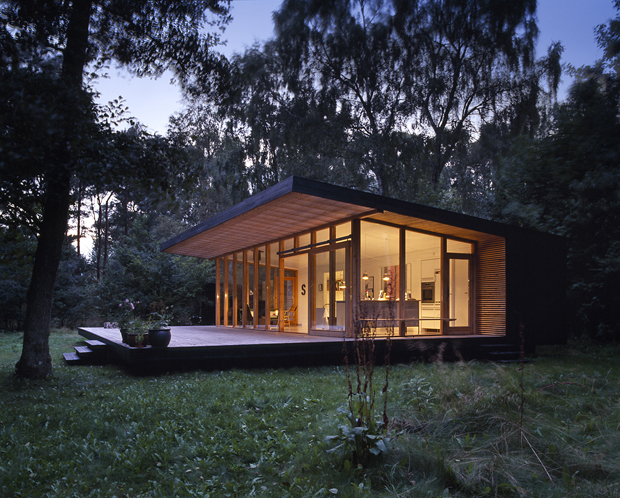 This particular place was completed in 2005 in conjunction with another architect Pernille Poulsen upon a large woodland site between the coastline and lake of Arrreso, in the northern area of the Zealand island. 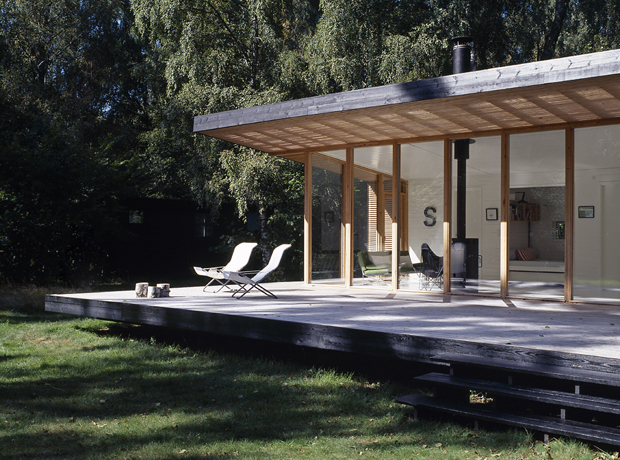 The entire building is in essence a timber clad raft hovering just above the grass line, folding up and around the internal space concluding at a large cantilevered canopy. 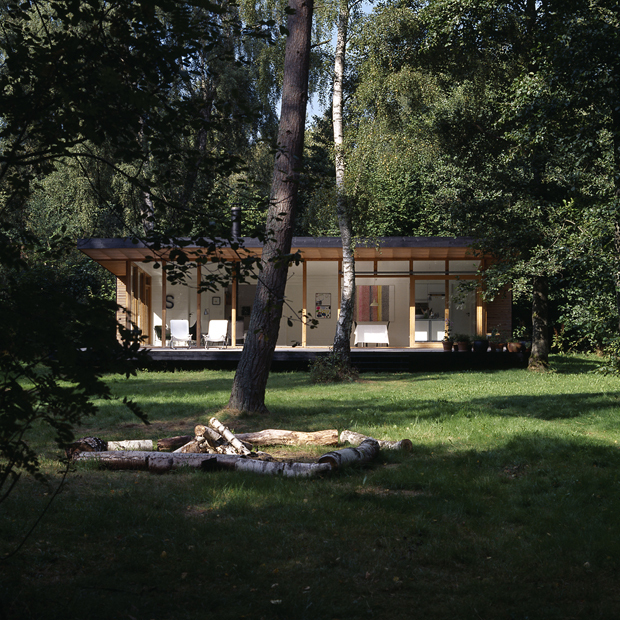 The space around the house was cleared of dense vegetation leaving all but a few trees to provide shade and a sense of depth to the property. This void means the home has ample space in front of it for entertaining and an organic wall around the site that provides an area of seclusion and privacy without the need of anything man made. 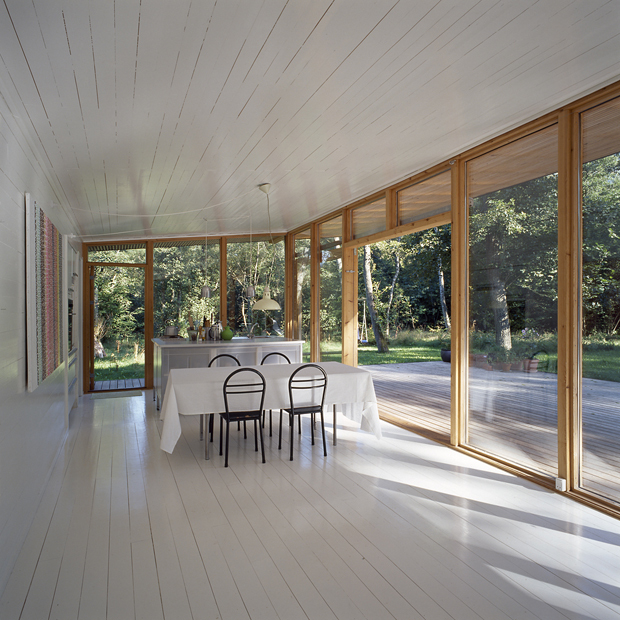 Those involved have really taken in to account the idea of being at one with nature in this sense, ceiling to floor glass panels on the front of the house reaffirm this, with a simplistic interior that emphasises the colours found within the surrounding view. 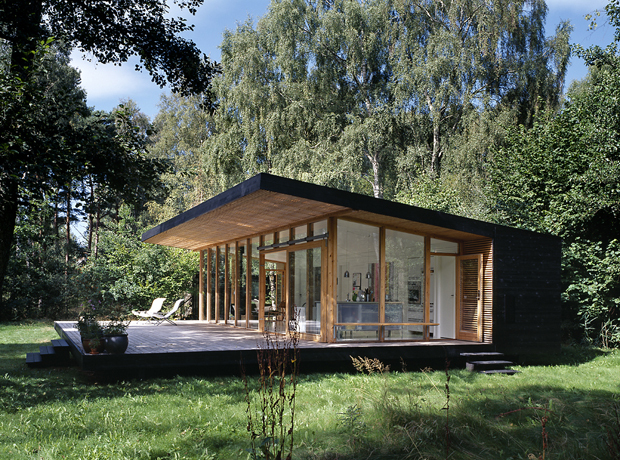 You can imagine this place is fantastic for a weekend escape in the summer months, an ideal space to contemplate and get a little creative. It’s such a light trap in the daytime, maintaining a warmly glow in the evening when the central interior fireplace comes into play. Being quite an outdoorsy person myself I love the idea of being tucked away from the hustle and bustle of city life in a home like this. My favourite section of the build has to be the cubbyhole that houses the day bed within, you might find this a little hard to see for the time being, but I’ve been promised further images come monday so hopefully I can come through with a little update for you all then. So whilst we wait why not head over to the Christensen & Co website and see what else there is to admire. Enjoy!